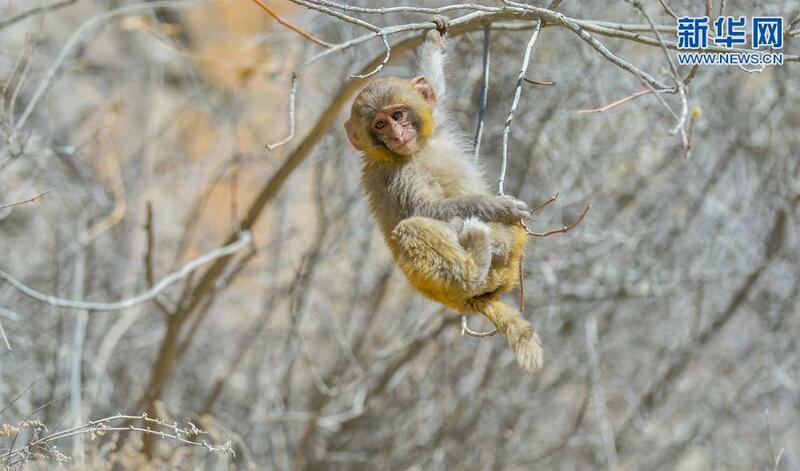 Tibetan macaques are playing inside Dagu Valley, southwest China’s Tibet Autonomous Region. Dagu Valley, sitting between the Sangri County and Gyaca County, Shannan City, southwest China’s Tibet Autonomous Region, is about 223 km from Lhasa, capital city of Tibet. Here, the Yarlung Tsangpo River turns with fast-flowing water.The stunning sights and moist climate enable the rapid growth of plants and vegetation in the area. As Tibet strengthens its protection of wildlife, the number of Tibetan macaque in the valley has grown rapidly. A Tibetan macaque is playing inside Dagu Valley, southwest China’s Tibet Autonomous Region. Dagu Valley, sitting between the Sangri County and Gyaca County, Shannan City, southwest China’s Tibet Autonomous Region, is about 223 km from Lhasa, capital city of Tibet. Here, the Yarlung Tsangpo River turns with fast-flowing water.The stunning sights and moist climate enable the rapid growth of plants and vegetation in the area. As Tibet strengthens its protection of wildlife, the number of Tibetan macaque in the valley has grown rapidly. A Tibetan macaque inside Dagu Valley, southwest China’s Tibet Autonomous Region, is eating an apple from a visitor. Dagu Valley, sitting between the Sangri County and Gyaca County, Shannan City, southwest China’s Tibet Autonomous Region, is about 223 km from Lhasa, capital city of Tibet. Here, the Yarlung Tsangpo River turns with fast-flowing water.The stunning sights and moist climate enable the rapid growth of plants and vegetation in the area. 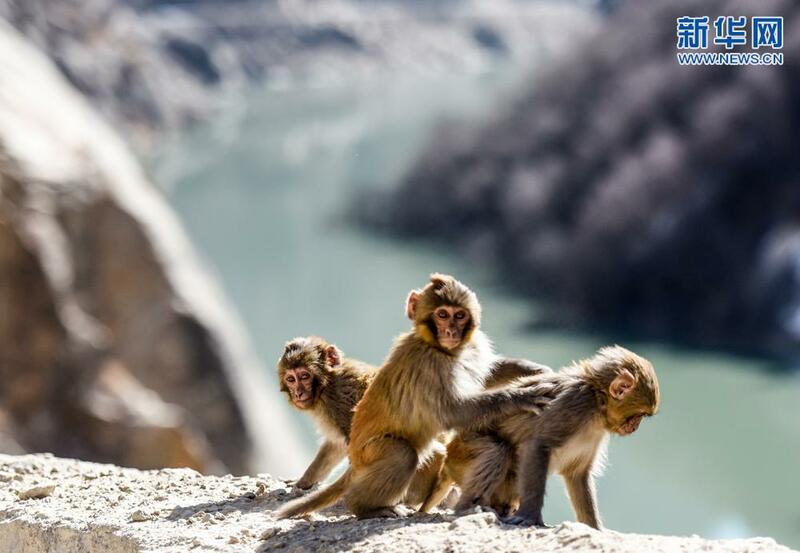 As Tibet strengthens its protection of wildlife, the number of Tibetan macaque in the valley has grown rapidly.